For cyclists, winter is a rough time of year. If you stop riding, you’ll lose all the fitness gained over the summer—but it’s also cold outside. 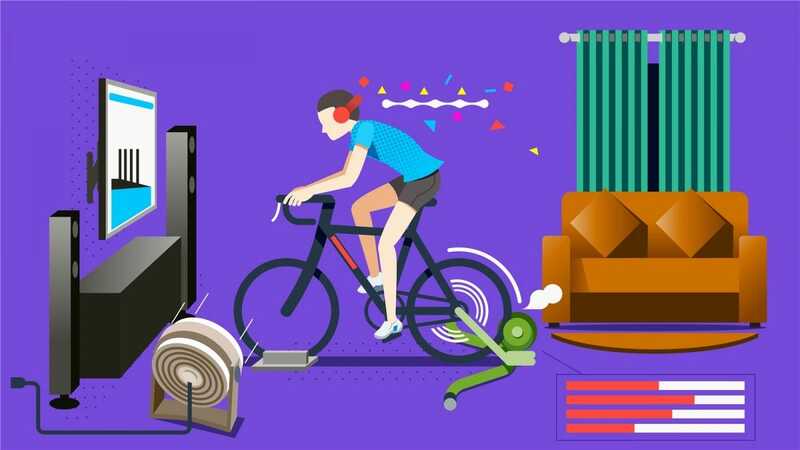 The best solution is getting an indoor trainer to keep the work going. Indoor trainers provide a way to ride your bike indoors. Away from the elements, cars, dogs, and all the other thing that can deter cyclists. In the comfort of your own home, indoor trainers allow you to keep your fitness up when the temperature goes down (or all year round if you’re into that). Indoor trainers fall into two basic categories: “standard” trainers and smart trainers. Within each of these categories, there are also different subsets of trainers. With regular trainers, there are fan-based, magnet-based, and fluid-based; with smart trainers, there are wheel-on and wheel-off (generally referred to as “direct drive”) trainers. Fan-based: These use fans to generate resistance. They’re the cheapest, but also the loudest and least versatile. Magnet-based: These use magnets for the resistance mechanism. They’re quieter than fan-based, and generally more useful. They’re also more expensive. Fluid-based: These are going to be the highest-end trainers. They’re quieter than the others, and use a fluid roller for resistance. The fluid thickens as it gets warm, increasing resistance gradually. They have a more road-like feel than the others. Wheel-on: These world like most traditional trainers in that you mount the bike by the rear wheel and the trainer’s barrel presses up against the wheel to provide resistance. Direct drive: These trainers remove the rear wheel from the equation, allowing you to attach your bike directly to the trainer. These are the best of the best, so they’re also the most expensive on the list. As you might expect, smart trainers are quite a bit more expensive than their standard counterparts. The good news is that you can get a killer workout on either one—it’s all about how hard you’re willing to push yourself. You may be wondering what the advantage of a smart trainer is, which can basically be summed up in one phrase: ERG Mode. ERG Mode allows smart trainers to dynamically and immediately control the power output—in other words, the amount of work you have to do it turn the pedals over. This allows training software like TrainerRoad and Zwift to adjust how hard you’re working in realtime—all without the rider never having to touch the shifters in many cases. 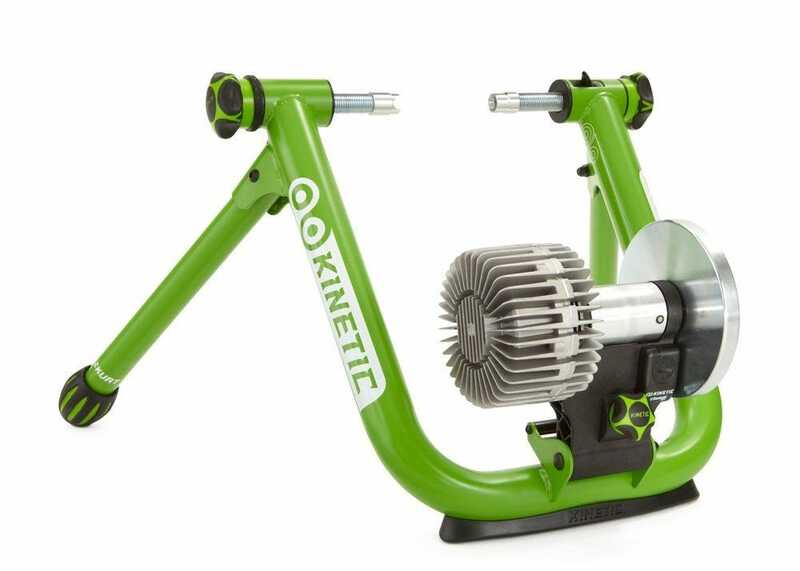 Kurt Kinetic’s Road Machine is widely thought of as one of the best fluid trainers on the market, for good reason. It’s super stable, has a good-sized flywheel, and packs some more advanced features than its counterparts. Thanks to Kurt Kinetic’s “inRide” technology, you can get some smart-ish features from a basic trainer. Basically, inRide is a Bluetooth power sensor that attaches to the trainer’s barrel to provide power data to training software. It’s not as accurate as something like a “real” power meter or the tech built into a smart trainer, but that’s not the point: it gives you a real metric to base your training plan off of, which is what really matters. As long as your training numbers are consistent, it doesn’t matter if they’re completely accurate. When it comes down to it, the Kinetic Road Machine offers the best bang for your buck—at almost half the cost of a cheaper smart trainer, you still get a lot of the value. 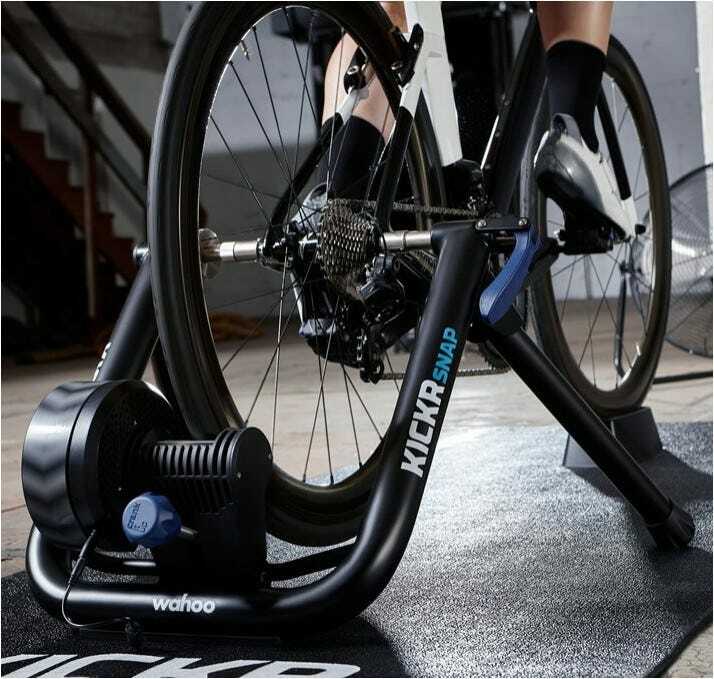 If you’re looking for a smart trainer and want the best bang for your buck, the Wahoo Kickr Snap is where it’s at. This is a wheel-on smart trainer, but offers +/- 3% power accuracy, which rivals many direct drive trainers on the market. It also offers a nearly unmatched maximum power of 1500 watts, making it one of the most versatile wheel-on smart trainers on the market. There really is a lot of value in here. Beyond its usefulness as a standalone trainer, the newest Snap has support for Wahoo’s Climb—a trainer accessory that adds real incline to your rides. It’s a pretty insane tool. If you’re looking for the best balance of features and price, the Kickr Snap is it. If you want the absolute best smart trainer that money can buy, the Tacx Neo Smart is your huckleberry. This is a beast of a trainer, with <1% accuracy for true power feel and a max output of 2200 watts—a pretty astounding number. Beyond that, it’s also extremely quiet for those late night or early morning training sessions. 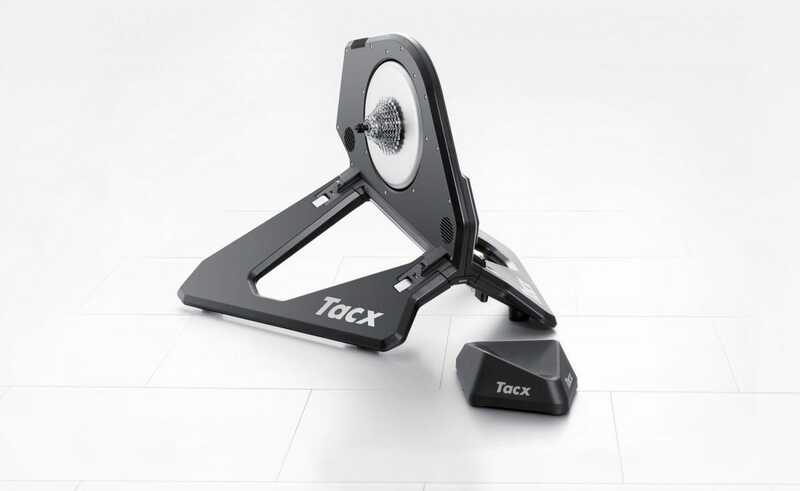 The biggest downside of the Taxc Neo Smart is the overall footprint: for increased stability, this is one of the biggest trainers on the market. That means you’ll need a pretty sizable area to use it. Also thanks to its design, the Neo Smart able to replicate the feel of cobbles, gravel, and other off-road environments, which is a highly unique feature. The trainer also has built-in flex, which takes some of the strain off the bike frame and provides a more realistic road feel. Getting a good night’s sleep is essential to good health and well being. Whether you’re battling light pollution from the city outside or you’re a shift worker struggling to sleep during the day, a good sleep mask is a lifesaver. We’ve rounded up our favorites to help you sleep deeply.